Helo. Strt aticle. Kep reeding. When a customer misspells your domain name, will they still make it to your website? Instead of hoping each customer is an expert speller, you can buy misspellings of your domain name to keep search traffic heading in your direction. If you’re just starting to get your idea online, buying every misspelling or variation of your domain name may be unreasonable. Instead, find out the alternative domain names that will help you get started, so that when customers stumble over their keyboard they’ll be guided back to the right place – your business. Domain.com has over 300 domain extensions to choose from to help set your website apart from the rest. It all starts with a great domain. When talking with friends and family about your new domain name idea, did you ask them to spell it? The spelling they use on the first attempt is one that many of your customers will also try. Another test to perform yourself is to type the name as fast as possible and see if any extra letters end up in the URL. If there’s an alternative or regional spelling of your name, that may be another name to add to your domain roster. For example, the owners of ketchup.com could also own catsup.com, as both are accepted spellings of the same word. Each path you connect to your website creates another avenue for traffic to arrive at your site. The domain extension you chose, whether it’s .com, .net, or something else, is not the only one that will work for your business. New domain extensions, nTLDs, are added every week, so finding an alternative that will work for your industry, products, and audience is only limited by your creativity. If your new craft beer and used bookstore has recently launched a web presence at bookbar.com, there are a handful of available domain names that will add to your traffic growth and establish a creative voice for your brand at the same time. Your new domains could include readbooks.bar, drinkbeer.books, and many more – the list could stretch on happily ever after. The surest way to catch customers typing in the wrong domain name is to find out what they’re typing in instead. Tools like Google analytics or Keyword Planner can help you track down the most common search terms and keywords used by your potential customers. Then you can use these phrases to create alternative domains that point this traffic to your site. If your customers are searching for bookbar.com, there’s a chance they’ll type in booksbar.com, bookandbar.com, instead by accident. Find the top searches, then redirect these domains towards your site. 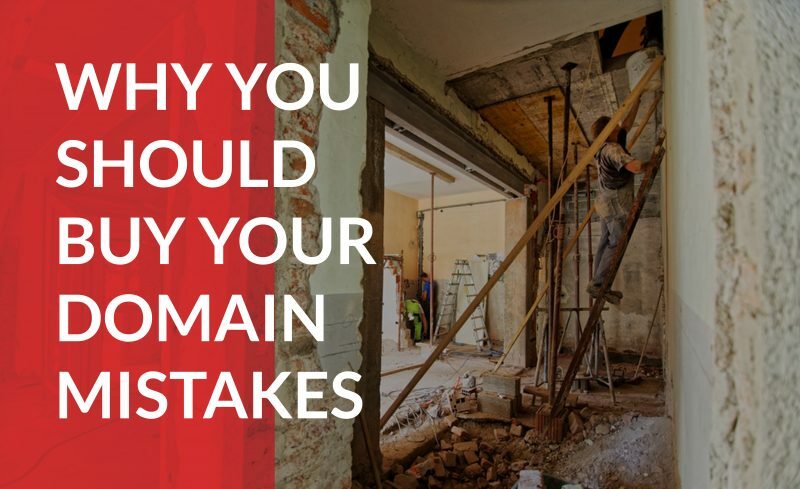 You don’t need all of the domains right away, but starting with the three or five most popular will help you retain more traffic. Don’t worry about leaving misspellings of your domain name all across the internet. Securing these alternatives sweeps your audience’s mistakes under the rug, rather than discouraging them with an error message and causing them to give up. A quick redirect means that nobody needs to feel guilty about anything. Buying a misspelling and adding a redirect means that when your customer types in the wrong name, their URL will change to the correct domain name almost instantly. When your customer sees the correct domain name popup, their error could make the memory of the correct name even stronger for their next visit. The success of your business depends on getting customers to the right place, even if they misspell your domain name. Adding alternatives and misspellings of your domain to your portfolio will keep search traffic heading your way, even when your potential customers make a mistake.